Sharp Part Serrated Edge Of High Quality 440C Blade Steel. Stamped "LIGHTNING" On Face Of Blade. Texturized Lightweight Aircraft Aluminum Handle With Metallic BLUE Powdercoat Finish. Firing Button Is On The Upper Spine Of Handle. There Is NO Accidental Firing With This Design. VERY POWERFUL OPENING AND CLOSING! Automaticly Opens And Retracts. 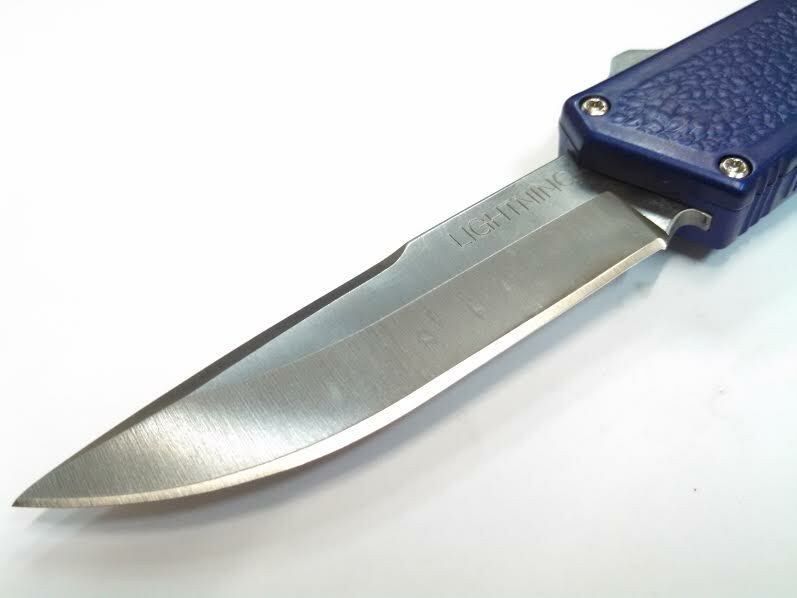 Removable Stainless Steel Pocket Clip. MADE IN TAIWAN. 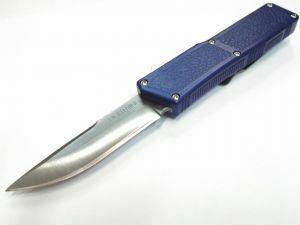 Overall Length: 8 1/16 Blade Length: 3 3/8" ***PHOTO SHOWS PLAIN EDGE...YOU WILL RECIEVE PART SERRATED!